On Sale Now! Free Shipping Included! 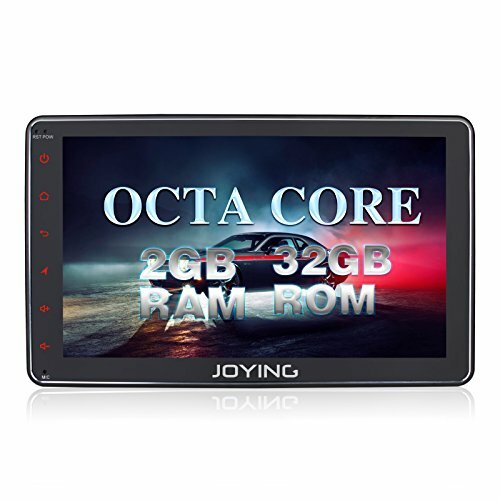 Save 6% on the JOYING Car Radio 8 inch PX5 Octa-Core 2GB RAM 32GB ROM Single Din Universal Car head unit Android 6.0 MashMallow GPS Navigation Support Backup Camera and Steering Wheel Controller Android Auto by Joying at iShare Maps. MPN: JY-UMS01P2. Hurry! Limited time offer. Offer valid only while supplies last. JOYING 8 inch PX5 Octa-Core 2GB RAM 32GB ROM Single Din Universal Car Stereo Android 6.0 MashMallow - Support iPhone Zlink & Screen Mirroring! JOYING 8 inch PX5 Octa-Core 2GB RAM 32GB ROM Single Din Universal Car Stereo Android 6.0 MashMallow - Support iPhone Zlink & Screen Mirroring! Believe in your purchase for a risk-free shopping. We will offer Lifetime Warranty & 30 DAYS 100% MONEY BACK. Click the "Add to Cart" to GET it NOW! PX5 Octa-Core 2GB RAM 32GB ROM - Android 6.0 PX5 Octa-core CPU processor, shorten the loading time observably, 2GB Ram 32GB Rom, carry out more advanced tasks than before. Quicker system responsing and faster speed web browsing experience. With 1024*600 resolution, support 4K video format, provides amazingly vibrant video and visual effects. It support Android Auto after the unit update to latest version. If you need, please contact us, we will provide it. If you have any questions about this product by Joying, contact us by completing and submitting the form below. If you are looking for a specif part number, please include it with your message.